Starkweather & Shepley Insurance Brokerage Inc. (S&S) and O’Neill & Co. Insurance Group celebrated the opening of their new location in Palm Beach Gardens, Fla., on Tuesday at the Wyndham Grand Jupiter. O’Neill & Co. Insurance Group, founded by President Kyle O’Neill, has been a strategic partner of S&S since July 2018. 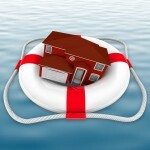 The agency provides consultation for Property & Casualty Insurance programs. Established in 1879, S&S is an East Providence, R.I.-headquartered independent agency. The firm provides commercial and personal insurance, health and employee benefits, surety bonding and risk management services. These services are provided nationally and internationally through its partnership with Assurex Global. Categories: Southeast NewsTopics: Business Moves & Mergers, O'Neill & Co. Insurance Group, Starkweather & Shepley Insurance Brokerage Inc.